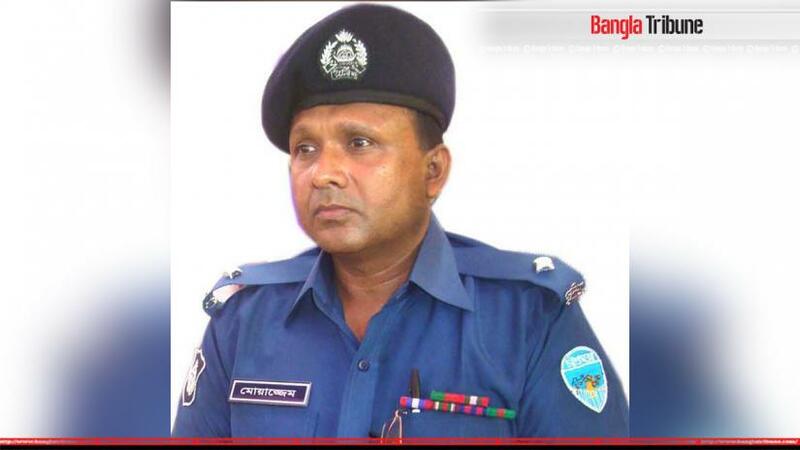 A court in Dhaka has cleared a case against now withdrawn OC of Feni’s Sonagazi Police Station Moazzem Hossain under the Digital Security Act. Dhaka Cyber Tribunal Judge Ashsams Joglul Hossain accepted the case on Monday (Apr 15) after hearing the complaint lodged earlier in the day by a Supreme Court. Barrister Syed Sayedul Haque Suman filed the case accusing the Songazi police chief of dillydallying in taking the case of Feni madrasa student Nusrat Jahan Rafi and recording her video. The court instructed the Police Bureau of Investigation (PBI) to probe the case and submit a report by Apr 30. According to case details, Nusrat went to Sonagazi police station to file a case against Sonagazi Islamia Fazil (Degree) Madrasa Principal Sirajuddaula on Mar 27 for sexually assaulting her the day before. Moazzem recorded a video of the victim’s statement without her consent while asking her offensive and insulting questions. The video then emerged on various social media platforms, including Facebook and YouTube. It was alleged that Moazzem had spread the video on social media. On Apr 10, the OC was withdrawn as Nusrat family's alleged that they were not getting proper cooperation from him.